On Tuesday, January 30, the Higher Education and Employment Advancement Committee of the Connecticut General Assembly held a forum on the proposed Community College Consolidation, known as “Students First.” The forum can be watched on demand from CT-N here. Several faculty and staff from the 4Cs, CSU-AAUP and SUOAF-AFSCME attended to testify against the consolidation, along with students from the community colleges and representatives of the various community college foundations. While 4Cs President Bryan Bonina was not able to testify in person, he submitted testimony electronically, which can be read here. Other testimony can be viewed here. This week, we celebrate Campus Equity Week! According to their website, ” The national Campus Equity Week campaign (CEW) seeks to promote awareness of the harmful consequences of the precarious situation of faculty in higher education, to organize for action, and to build solidarity among stakeholders. 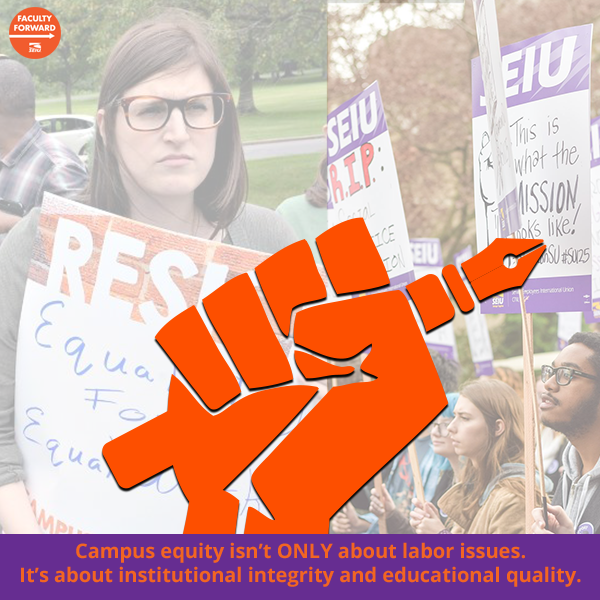 CEW has expanded activism within the higher education labor movement and led to significant gains in equity (increases in compensation and due process protections), largely among faculty represented by unions. 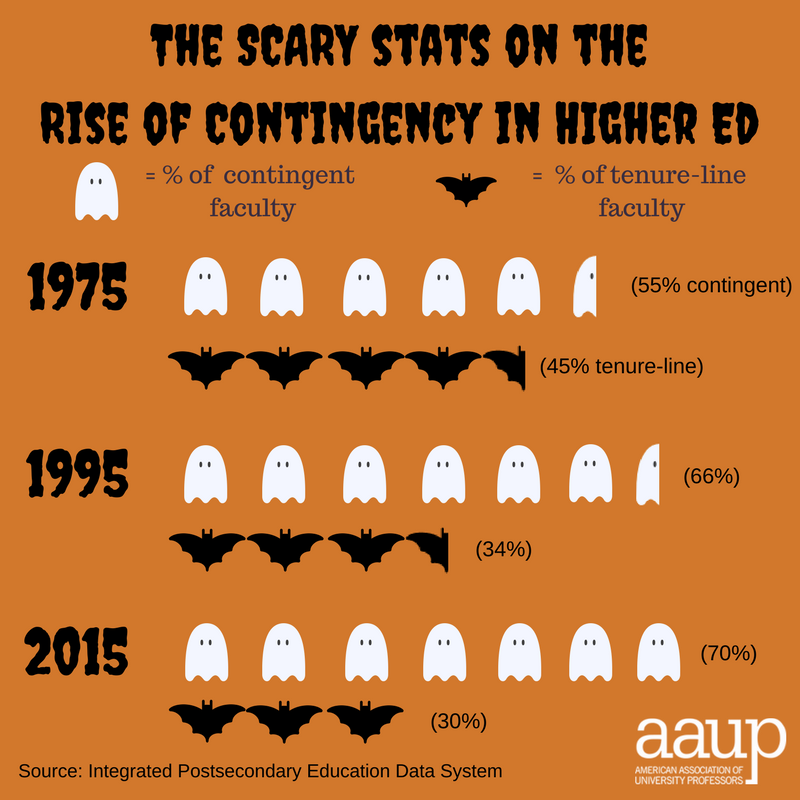 Only a small minority of non-tenure-track faculty in the U.S. are members of collective bargaining units” (https://www.campusequity2017.com/about-cew). The 4Cs has set up tables on some of our campuses to provide some visibility to this important event! The Yale University Graduate Students in Unite HERE held a massive action on Monday, May 22, beginning at 8:30am in New Haven. As you may know, the Yale Graduate Students have formed a union and the Administration is delaying going to the bargaining table. Unite HERE and the Yale Graduate Students have been supportive of the 4Cs organizing effort at the University of New Haven and in return, we have stopped by a number of their actions, including the May 22 action at Yale graduation. Recent budget scenarios have proposed cuts for the Community Colleges ranging from $19-$90 million. Cuts of this magnitude go well beyond the savings targets that have been planned for the Board of Regents. There has even been a recent communication from President Ojakian that states they may have to revisit drastic proposals such as closing a campus. We are asking all of our members to contact their legislators and let them know how these cuts will negatively impact our Community Colleges. If you fill in your home address at http://the4cs.seiu.org/page/speakout/state-budget, the 4Cs has provided a draft email (editable) that can be sent directly to your legislators. Please take action and contact your legislators to ask them to oppose these proposed cuts! The Elections Committee, along with the candidates, met last Friday at the 4Cs office to validate the election results. The election drew more than 20% of the membership of 3,053 eligible to vote. The new term began on May 5th. Congratulations to President Bryan Bonina, Treasurer Tony Scott, Secretary Steve Krevisky and Diversity Officer Bill Foster — all of whom ran unopposed. On behalf of the Congress’ elections committee – John McNamara, David Welsh, Robert Lavin and Minati Roychoudhari – thank you to all candidates for stepping up to run for statewide leadership. Your involvement keeps our union democratic and stronger. Join us on Saturday, April 22 for a 4Cs conference from 10am-2pm at Middlesex Community College that will address issues each part-time educator faces in long-term professional development (view agenda). Free of charge with breakfast and lunch included. Advanced registration is preferred (here). 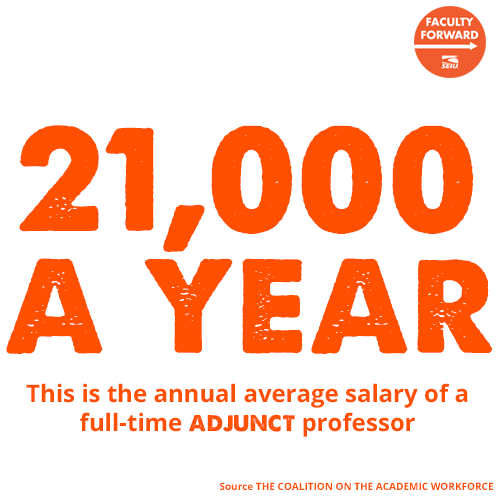 The University of Hartford adjuncts voted to join the Congress of Connecticut Community Colleges and SEIU Faculty Forward, marking the first successful effort by adjuncts at a private university in Connecticut! Democracy in our State and in Our Work Places. Rev. Dr. Barber is an inspiring speaker who has given speeches at some high profile labor and democratic events in the past few months. I witnessed him firsthand speaking at the SEIU Convention, heard him on television at the DNC, and saw video of his speech at the Fight for $15 Convention. While I’m excited to be inspired again by Rev. Dr. Barber, I’m not just going to hear him speak. I’m attending on Thursday because of an incident that really bothered me over the summer. I was a passenger with my sister and a close friend in a taxi coming home at the beginning of the summer. An irate driver not only tried to drive our cab off the road, but when he stopped next to us at a red light, he called our taxi driver the N word and physically started punching the cab with his fist. This happened in my town, less than two miles from my house. It’s been several months since this incident took place but it still bothers me. It bothers me that someone who likely lives in my town used this hateful language against another human being. It bothers me that my taxi driver was able to remain calm, most likely because this was not the first time this hateful language was thrown at him and sadly because he didn’t want to risk losing his tip. But more than anything, it bothered me that I stayed silent during the exchange. I am a white woman raised in liberal Massachusetts. I understand that racism still exists, but despite being 40 years old, this is the first time someone used the N-word in my presence. Yes, the man who used the hateful word was bigger than me, angry, and clearly prone to violence. I did not want to escalate the situation. After the incident, we apologized to our taxi driver – embarrassed and angry that someone would use such hateful language towards him. He appreciated our kindness but simply shrugged off the incident. I cannot shrug off the incident. Rather that trying to find peace or solace in the excuse of not wanting to escalate things, I’m going to use this incident as motivation to break my silence and use my voice. Therefore, I’m not just going to listen to Rev. Dr. Barber speak – I’m going to join with the thousand others to speak out on the issues important to us. Whether your issue is fair wages for adjuncts and EAs, fairly funded public higher education, Black Lives Matters, women’s equality, all of the above, or other issues, I hope you consider joining me on Thursday, September 8 at Take Back CT! The event is taking place in the Welte Theatre at Central Connecticut State University (directions here; campus map here) at 6:30pm. Join us and use your voice for change!